Bahai News (Persian), May 21, 2017. On April 13, 2017, ten officers from the Department of Sanctions arrived at the workplace of Farhad Samadani (فرهاد صمدانی), seized all his stock, including 528 spectacle frames, and sealed the business. They were intending to arrest him, but his physical health did not allow this — yet they took his car away with them. Although he had receipts for the purchase of the frames, including the payment of customs duty, his goods were confiscated and he was given a fine for the possession of “contraband” amounting to three times their value. The loss and fine amount to “40 million”, which if it is stated in tumans would be 11,000 euros or $US 12,300. Bahai News (Persian), May 30, 2017. Samir Khalousi (سمیر خلوصی) was released on bail from the central prison of Kerman on May 30, after 152 days in detention. He was held at first in the detention facility of the Ministry of Intelligence, and then in the central prison of Kerman. Bail was set at 70 million tumans (19,300 euros ; $US 21,600). His wife, who was also arrested and detained for a short time, is also free on bail, set at 100 million tumans. He has recently been tried on charges of propaganda against the regime and membership of Bahai organisations. Samir Kahlousi was arrested on December 30, 2016, when five security agents entered his home by breaking down the door. They searched it thoroughly and seized a laptop, hard drive, smart phone and books. The raid is described as very violent: Mr. Khalousi was subject to two hours of interrogation and beating in his home, and was taken in handcuffs to the detention facilities operated by the Ministry of Intelligence. His arrest came 9 days after the arrest of Amrullah Khalqiyan (امرالله خالقیان), whose release on bail was reported here yesterday. Bahai News (Persian), May 25, 2017. Amrullah Khalqiyan (امرالله خالقیان), a Bahai from Kerman, was released on bail on May 25, after 157 days of detention, first in the detention facility of the Ministry of Intelligece, and then in the central prison of Kerman. He was arrested on the morning of December 21, 2016, along with his wife Fariba Rouhani (فریبا روحانی), who was released after a few hours’ questioning. On February 8, 2017, security forces in Kerman arrested three more Bahais: Ehsan Amiri-nia (احسان امیری نیا), Arman Bandi (آرمان بندی) and Nima Rajab-zadeh (نیما رجب زاده). On May 22, all four were tried in Kerman, on charges of undermining national security by promoting the Bahai Faith. The four were taken to the court in handcuffs and shackles. So far as I know, their sentences have not been announced. Bahai News (Persian and English), February 9, 2017. On February 8, 2017, security forces in Kerman arrested Ehsan Amiri-nia (احسان امیری نیا), Arman Bandi (آرمان بندی) and Nima Rajab-zadeh (نیما رجب زاده), and then searched their homes. Bahai News (Persian), February 5, 2017. Ruhiyyeh Zaynali (روحیه زینلی), a Bahai who was arrested in Kerman on January 3, has been released after posting bail of 100 million tumans (29,000 euros; $US 31,000). After her arrest she was held for prolonged interrogation by the Ministry of Intelligence, before being transferred to the Kerman Provincial Prison. Her husband Samir Khalousi (سمیر خلوصی) was arrested during a violent raid on the their home on December 30, 2016, and is apparently still being held by the Ministry of Intelligence. The couple have two children, aged 7 and 16. Bahai News (Persian), January 3, 2017. Ruhiyyeh Zaynali (روحیه زینلی), a Bahai living in Kerman, was summoned twice to the Provincial Office of the Ministry of Intelligence on two successive days. On the second occasion, on January 3, she was arrested. Her husband Samir Khalousi (سمیر خلوصی) was arrested during a violent raid on the their home on December 30, 2016, and is still being interrogated by the Ministry of Intelligence. Both are accused of propaganda against the regime and undermining national security. Mr. Khalousi suffers from a skin disease that requires medications, but the Ministry of Intelligence has not allowed him to receive the medication. The imprisoned couple have two children, aged 7 and 16. On the morning of December 21, agents from the Ministry of Intelligence in Kerman Province raided the home of Amrullah Khalqiyan (امرالله خالقیان) and his wife Fariba Rouhani (فریبا روحانی), seizing personal effects, a computer, a laptop and Bahai books, and arrested the couple. Mrs Rouhani was released after a few hours’ questioning, but Mr. Khalqiyan is still being held, according to latest reports. The behaviour of the agents is reported to have been perfectly respectful. It is implied that the couple’s home is in Kerman city. On December 25, the agents returned and searched the couple’s home again, and also searched the home of Mr. Khalqani’s sister, in a downstairs apartment of the same building. The agents seized pictures and books relating to the Bahai Faith. It is reported that Mr. Khalqiyan is being investigated for undermining national security by having the wrong kind of pictures on his walls. Bahai News (Persian, facebook), January 21, 2016. Shahram Falah (شهرام فلاح) has been released from prison in Kerman, after serving one year of a 3-year sentence for his Bahai beliefs. He began his sentence on January 31, 2015, and was released on January 20, 2016. Navid Haqiqi Najafabadi (نوید حقیقی نجف آبادی), another Bahai prisoner who began a 3-year sentence on the same day, was released on (or about) January 10, 2016. They were among 20 Bahais were arrested in central Iran in August, 2012. Mr. Haqiqi and Mr. Falah were the first two of these 20 to begin their sentences. On January 31, Navid Haqiqi (نوید حقیقی) and Shahram Falah (شهرام فلاح) reported to prisons in Arak and Kerman, respectively, to begin serving 3-year sentences for their faith. 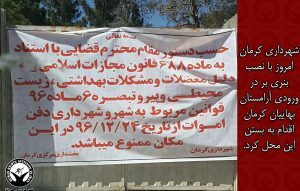 In August 2012, 20 Bahais were arrested in central Iran: 10 in Yazd and Isfahan and 10 others in towns and cities such as Shahin Shahr, Vila Shahr, Arak and Kerman. Mr. Haqiqi and Mr. Falah are the first two of these 20 to begin their sentences. Three Bahais in Yazd have been notified that they will begin their 3-year sentences on February 16. They are named as Mrs. Fara Baghi (فرح باغی), who has been sentenced to one year in prison and 1 year suspended sentence; Mr. Mehran Eslami (مهران اسلامی), facing one year in prison and 1 year suspended sentence (previously reported as two years plus a one year suspended); and Mrs. Fariba Ashtari (فریبا اشتری), sentenced to two years (previously reported as three years). [Corrected: In my initial report, Mrs. Fara Baghi (فرح باغی) was conflated with Mr. Faribourz Baghi (فریبرز باغی ). Following the recent arrests of 10 Bahais in Isfahan and Yazd, Shahin Shahr, their detentions have been extended, and more Bahais have been arrested. Mrs. Tahereh Reza’i ( طاهره رضایی ), who was arrested in Shahin Shahr, Khosro Dehqani (خسرو دهقانی ) who was arrested in Vila Shahr, and Noghmeh Farabi ( نغمه فارابی ), a resident of Najafabad, have been transferred to Isfahan prison. It was previously reported that Vida Parvani ( ویدا پروینی ) had been arrested in Vila Shahr. According to the latest report, security agents raided her home, seizing a computer and some religious books. Later Vida Parvani received a summons by telephone, but since this is not officially valid, she has not responded. The arrest of Mr. Navid Haqiqi ( جناب نوید حقیقی ) in Arak has been confirmed. Security agents raided his home and seized religious books and images. He is being held in a detention facility in Arak province. In addition, security agents raided the home of Shahram Falah ( شهرام فلاح ) in Kerman, seizing a computer and mobile phone, religious books and images and, as they were leaving, told his wife that Shahram had been arrested in Yazd. Bakhtiyar Rasekhi (بختیار راسخی) and his wife and daughter, Farhnaz Na`imi and Farin Rahimi ( فرحناز نعیمی و فرین رحیمی ), after almost 7 months of detention without trial, have been freed on bail of 70 million tumans (47,000 euros; 57,000 US dollars) each. 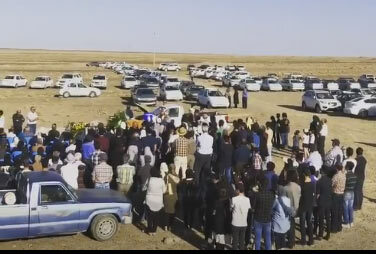 They were among those detained in Kerman on January 5 when agents from the Ministry of Intelligence, accompanied by a film crew, raided there home, where the Bahais were marking the day of Iranian Youth. They are charged with propaganda against the regime in favour of oppositional organizations and groups; spying for the benefit of foreigners; promoting deviant Baha’i ideas; supporting the apostasy of a large number of Muslims; and blasphemy against Islamic sanctities. Bakhtiyar Rasekhi (بختیار راسخی) and his wife and daughter, Farhnaz Na`imi and Farin Rahimi ( فرحناز نعیمی و فرین رحیمی ) were among those detained on January 5 when agents from the security forces raided a home where the Bahais were marking the day of Iranian Youth. The security forces were accompanied by a film crew. After six months, their detention without trial has been extended. They are charged with propaganda against the regime in favour of oppositional organizations and groups; spying for the benefit of foreigners; promoting deviant Baha’i ideas; supporting the apostasy of a large number of Muslims; and blasphemy against Islam. During their six months detention, Bakhtiyar Rasekhi spent 45 days in solitary confinement, and Farhnaz Na`imi and Farin Rahimi spent 35 days in the quarantine facility where conditions are poor [these rooms are intended for short stays and do not have hygiene or sleeping facilities]. Farhnaz Na`imi became ill during her detention, but prison authorities did not allow her to be treated. 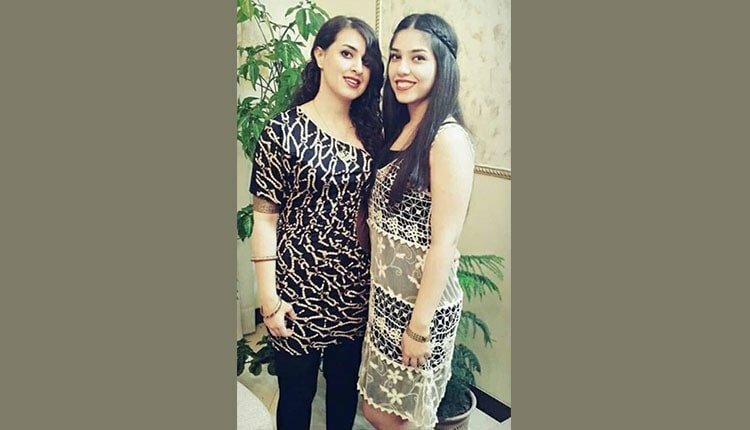 On February 14, Farhnaz and Farin were transferred to the women’s wing of Kerman prison, and in May, Bakhtiyar Rasekhi was transferred to the general detention block at the prison. The efforts of their family to arrange for release on bail have been fruitless. Every two months, the Ministry of Intelligence extends their detention without trial.